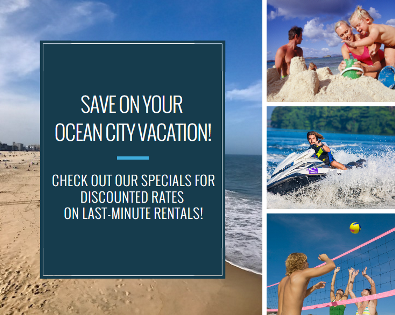 OC Vacations by Resort Rentals - Ocean City Maryland Vacation Rentals - Discover the Key to your Vacation in Ocean City! Founded in 2002, Resort Rentals (OC Vacations), the rental division of Resort Real Estate, is a full service vacation rental management company. Resort Rentals specializes in weekly, seasonal, and yearly vacation rental accommodations in Ocean City and Berlin Maryland. The business was started by, and is still currently managed by Gail Crosby. With a background that includes 29 years in the Ocean City rental industry, she has built the rental program from zero to over 200 properties. Years of experience and knowledge of Ocean City helped make Resort Rentals a vacation rental expert. We know and love Ocean City Maryland! A resort beach town on the ocean, Ocean City features an boardwalk lined with restaurants, shops, hotels and theme park attractions along miles of beach. Assateague Island nearby in the bay allows for kayak and boating adventures for a more well rounded vacation. We can help you find your perfect vacation rental in the Ocean City Maryland Area, an amazing place to vacation. Call or email us with any question regarding your destination, a property, our service, or to request a quote. Interested in Booking a Vacation Rental with OC Vacations by Resort Rentals? Have you rented with OC Vacations by Resort Rentals? How would you rate your overall experience with OC Vacations by Resort Rentals?